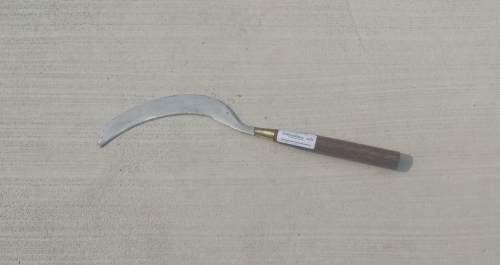 Premium Hand Made Serrated Sickle (rice knife) is a life-time tool, (if correctly cared for, following care instructions). 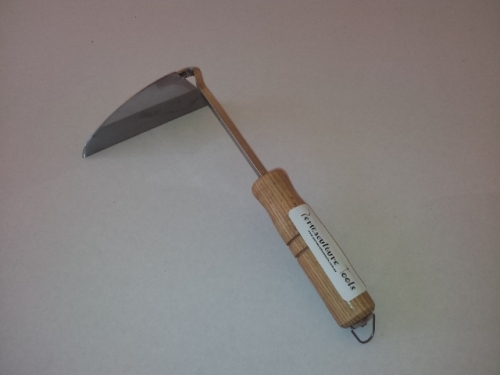 The Premium Hand Made Serrated Sickle (rice knife) is used for grasses and small herbaceous plants in a more controlled environment, such as around the base of trees, using a pulling and wrist turning action, the Premium Hand Made Serrated Sickle (rice knife) is not to be used in a swinging action (see Videos). 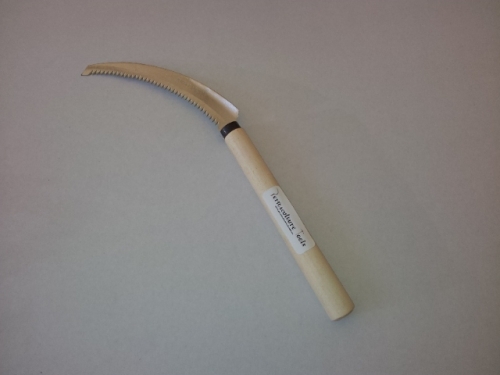 After every use, the Premium Hand Made Serrated Sickle (rice knife) blade should be wiped clean and sprayed with a permanent lubricant i.e. 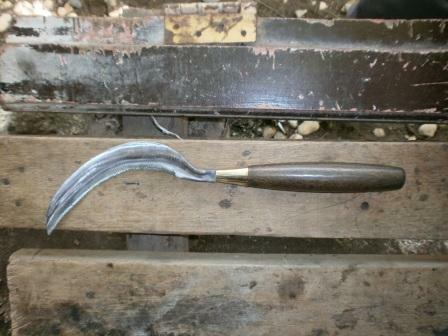 INOX not WD40 or RP7 (non-permanent lubricants). 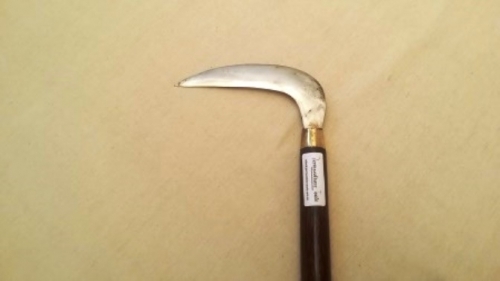 The Premium Hand Made Serrated Sickle (rice knife) blade should be sharpened with a sharpening stone and water, on the back side of the blade, opposite the serrations, do not use a file or grinder, the Premium Hand Made Serrated Sickle (rice knife) blade must be oiled after sharpening. 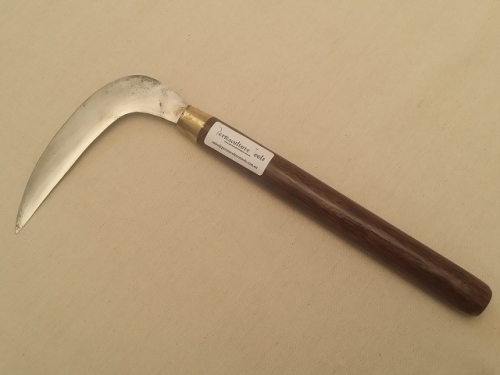 Due to the nature of the Premium Hand Made Serrated Sickle (rice knife) being hand-made, there will be slight variations in the size, shape and colour of the tools and materials used.